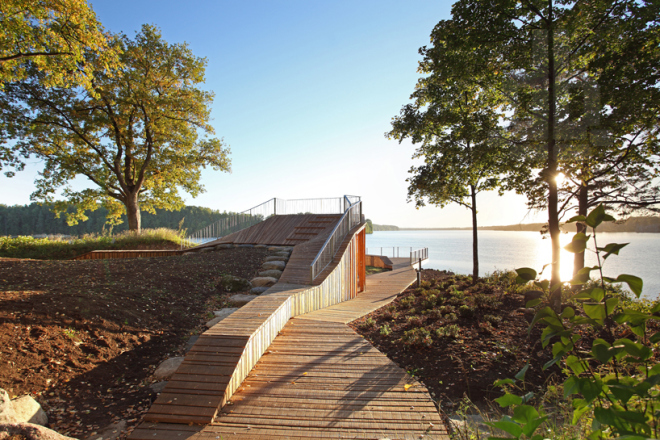 View terrace and Pavilion, designed by Didzis Jaunzems and Laura Laudere in collaboration with architecture office Jaunromans and Abele, are situated in memorial park “The Garden of Destiny”, the area of Consolation which is the first zone of Future according to overall project of the island. The Garden of destiny is memorial place for all souls that have been lost to Latvia in last century and it will be completed as a gift to country on its 100th birthday in year 2018. The View Terrace project started as an architectural competition and with a help of donations is now first realized permanent building in memorial park. 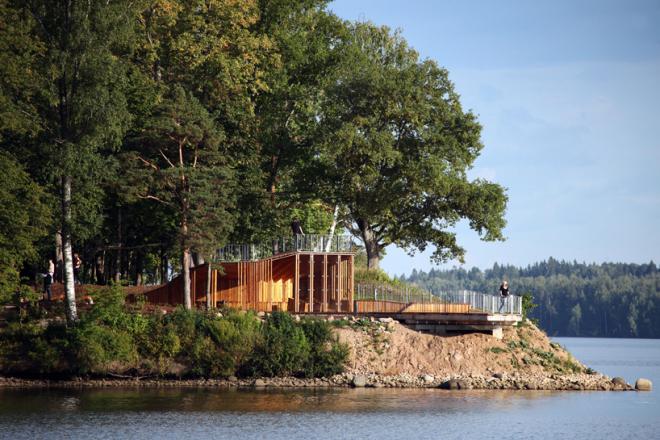 View terrace received the Prize of the Year 2012 in Latvian Architecture Best Works Award.